The biosynthesis of very-long-chain polyunsaturated fatty acids involves an alternating process of fatty acid desaturation and elongation catalyzed by complex series of enzymes. ω3 desaturase plays an important role in converting ω6 fatty acids into ω3 fatty acids. Genes for this desaturase have been identified and characterized in a wide range of microorganisms, including cyanobacteria, yeasts, molds, and microalgae. Like all fatty acid desaturases, ω3 desaturase is structurally characterized by the presence of three highly conserved histidine-rich motifs; however, unlike some desaturases, it lacks a cytochrome b5-like domain. 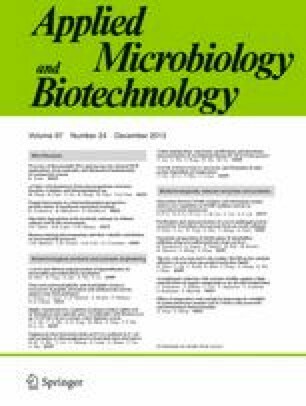 Understanding the structure, function, and evolution of ω3 desaturases, particularly their substrate specificities in the biosynthesis of very-long-chain polyunsaturated fatty acids, lays the foundation for potential production of various ω3 fatty acids in transgenic microorganisms. This work was supported by the National Natural Science Foundation of China (No. 21276108, 31271812, 31171636), the National High Technology Research and Development Program of China (2011AA100905), the National Science Fund for Distinguished Young Scholars (31125021), the National Basic Research Program 973 of China (2012CB720802), the 111 project B07029, and the Fundamental Research Funds for the Central Universities (No. JUSRP51320B).